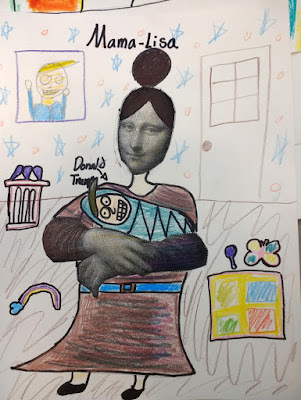 Leonardo Da Vinci is rolling over in his grave thanks to the HES fourth graders. 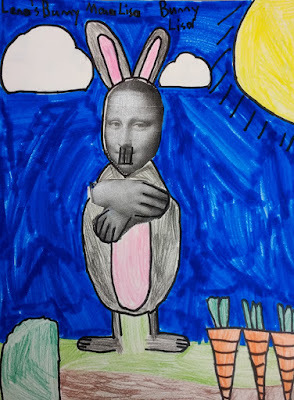 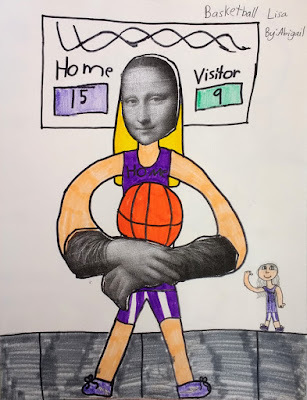 After looking at some online parodies of four famous paintings (Starry Night, American Gothic, The Scream, and the Mona Lisa), fourth graders used only Lisa's famous face and hands to create their own Mona Lisa parodies. 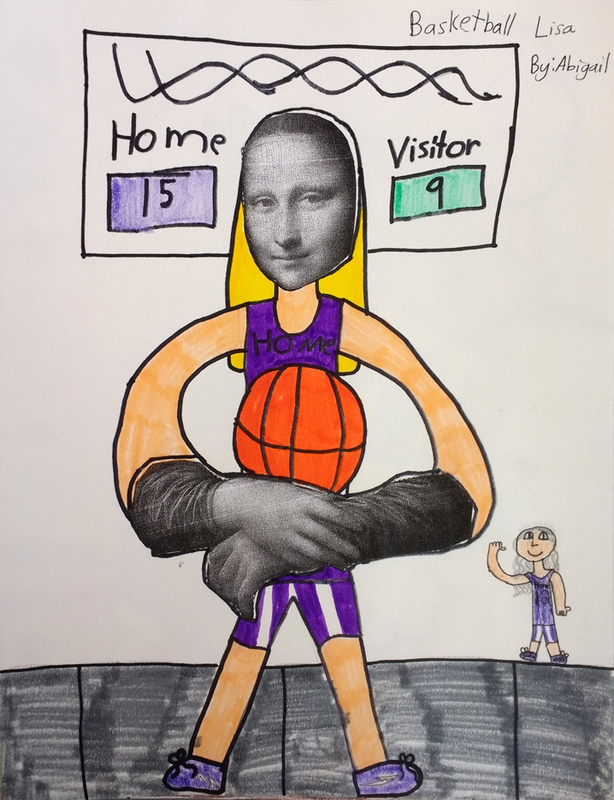 I didn't put too many restrictions on their efforts - only that they couldn't change Lisa's face (too much) and that they had to add enough detail/backgorund that a viewer could understand their parody clearly. 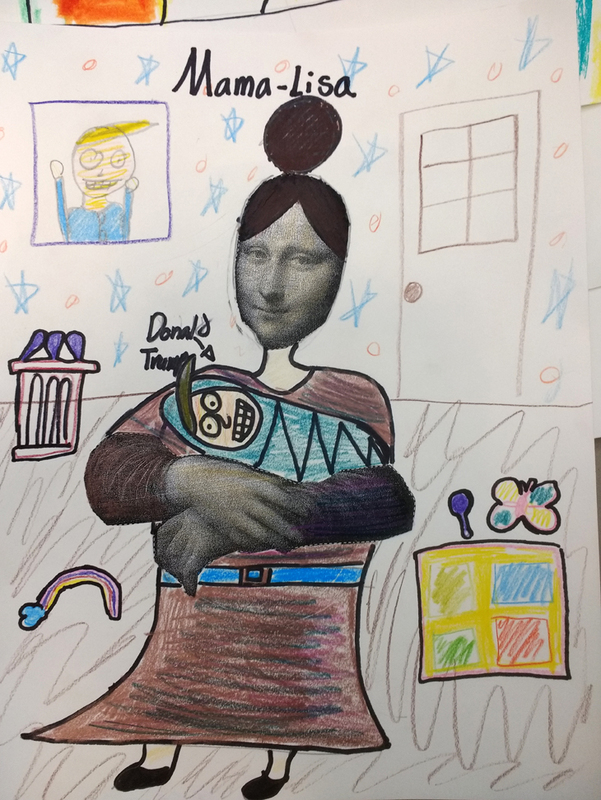 I think the results were pretty creative!